The cCell Coils display a dual wicking method in their structure that enhances flavor and prolongs life between coil replacements. They have far surpassed other styles of coils due to their concentration on the ceramic core inside. 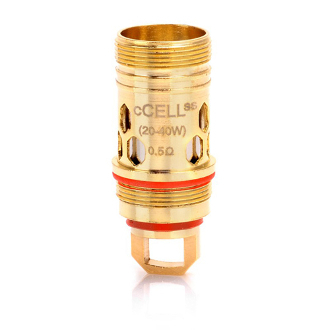 This core can have Kanthal or Nickel for two types of output control; wattage and temperature. This design includes a triple hexagon pattern in three areas of the coil for amazing flavor and deep saturation!